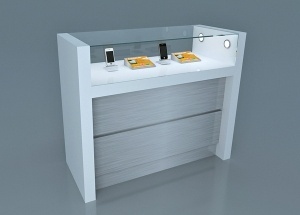 This mobile phone display table with 2 stainless steel chairs. 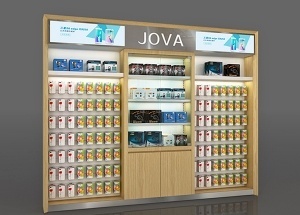 It's widely used to display phone, camera, computer in the shops. 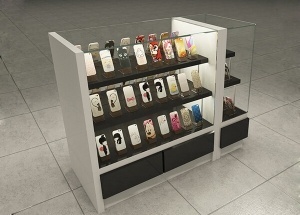 This multilayer glass showcase is a kiosk display for cell phone store. 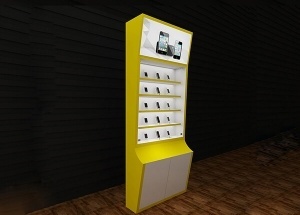 It is used to display phone accessories, phone case, digital product, gifts in the stores. This wall display showcase: vertical veneer finished, laminated deck, shelves, wall hook, spot light, storage cabinet with hinged door (can lock), light box, logo, toe-kick, dust resistant,electrical cord with switch. 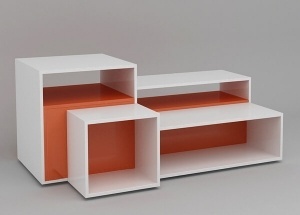 This store wall display shelf is used to display clothing,dress,pants,bags,shoes for women,man,kids,baby shops,boutique stores.It is made by wooden,metal,lights and fixtures,etc. 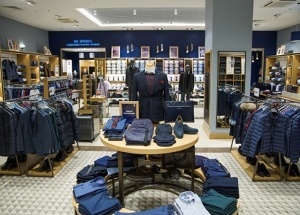 The retail clothing fixtures was for a men clothes shop in shopping mall. 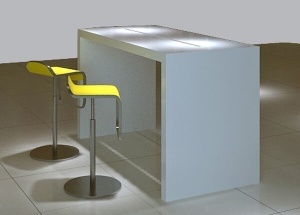 The shop design ideas was for a men clothes shop in USA.